I mean, how can you not gush over these cuties??? 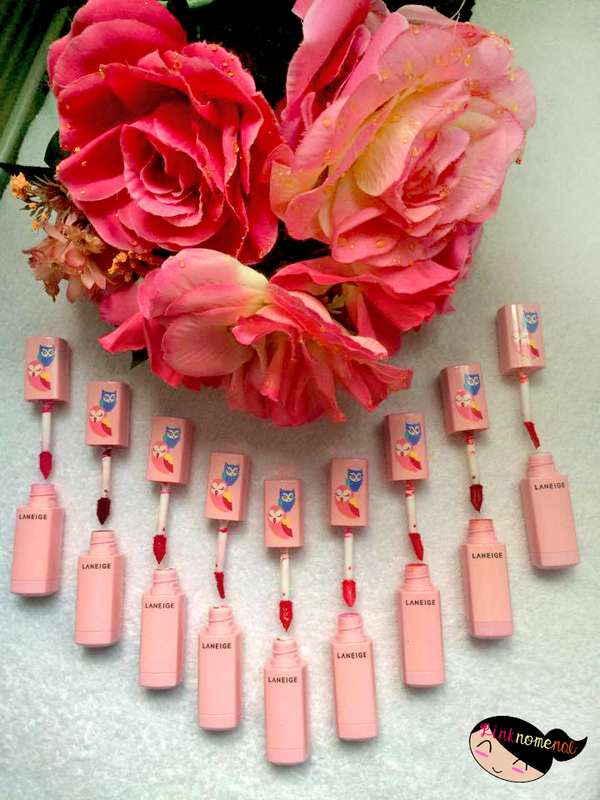 The Laneige x Lucky Chouette Serum Drop Tint comes in 10 colors. 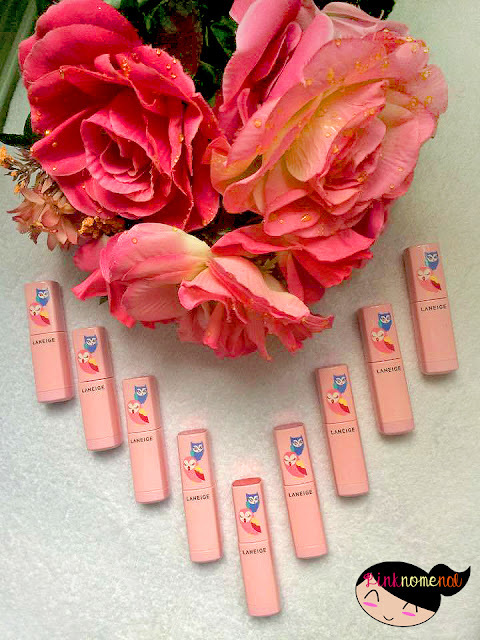 I was able to snag nine (9) of it, thanks to Ms. Winnie Go, Mela and the lovely ladies of the Laneige Philippines team. Onto the swatches - okay, there are a lot so bear with me on this one. 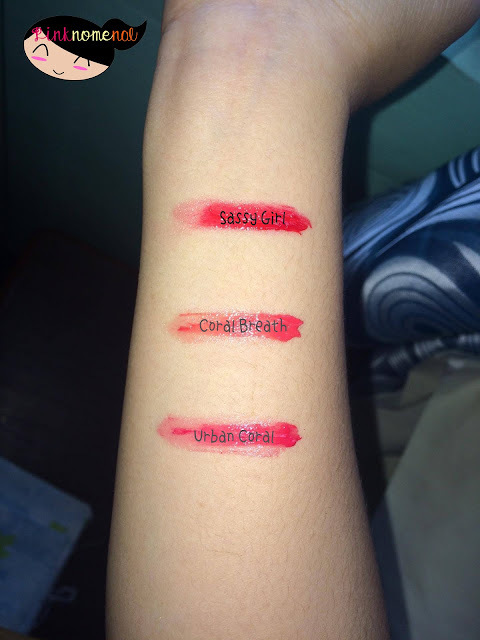 I swiped each tint thrice and used my arms as canvas to show you, guys, how these babies look. a light purplish pink shade that acts as a good base. The lightest color of the bunch. a loud, hot pink color that instantly makes your lips stand out. Great to wear when you're lazy to do full on makeup. a dark, brick red shade that's great as a point color (inner shade) for gradient lips. Those who love to wear dark lip shades, this one's for you. a reddish pink shade that complements any skin tone. I find this best worn as a full on color. a pretty, feminine red that's a standout color. Just like the name implies, this lippie can be a great date shade. a brownish-red shade that's a perfect MLBB lippie. This is actually my fave shade out of the bunch. a spunky, dark red shade that goes well with any outfit. Those sassy, fun-loving girls who love to rock bold shades can find a match in this lippie. a super gorgeous pinkish-orange shade that's too cute to pass. I love using this as base and pairing it with dark pink shades for a pretty, playful gradient lips. a glamorous reddish-orange color that looks ultra chic on the lips. 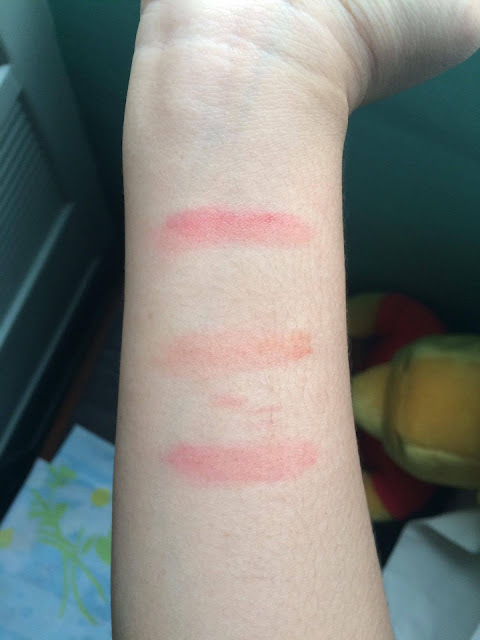 This looks best as a lippie for your casual night outs with friends. it has a strong, somewhat fruity scent to it. Might be a bit overwhelming at first but the smell goes away after a few minutes. 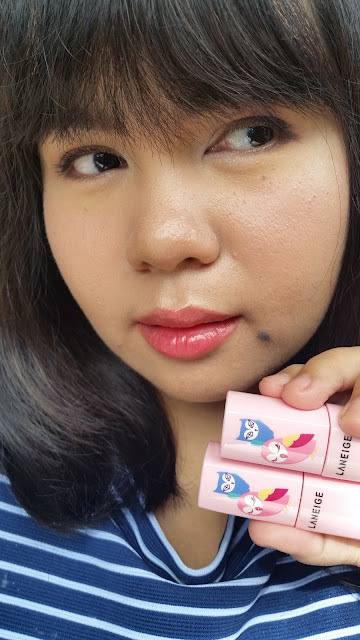 it has a rich, buttery texture that's a bliss to apply, I guess since it's a serum-type of tint that should moisturize the lips. I was fairly surprised at how pigmented the Serum Drop Tints are. 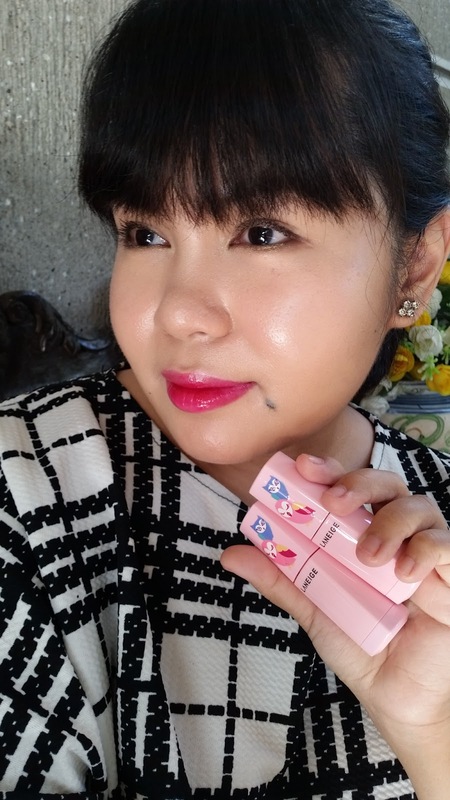 I was expecting it to be pigmented like other tints usually are that looks tacky but its rich, creamy texture actually lends a nice coating to the color. this has a creamy, lipstick-like finish with a hint of gloss instead of the usual loud, "in your face" color that lacks depth type of tints we have in the market. Having said that, this is definitely high up on my tint ranking. just like other tints, this leaves a pretty color even after tissuing off. I like this as a high quality tint that packs a lot of color and has a dreamy texture and finish. I wish, however, that there's more product in it. The packaging is extremely cute, don't get me wrong but I wish it was a little bit bigger. 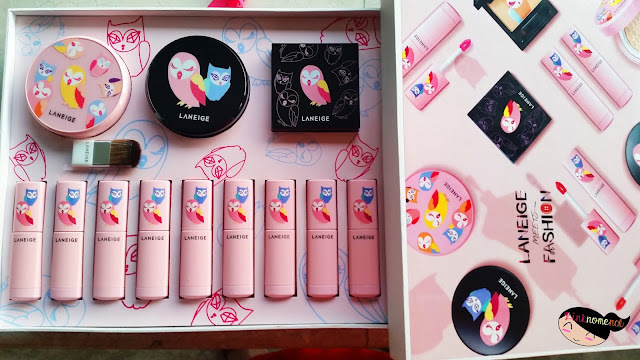 Love their packaging and their lipstick shades. Oooh, I like kikay packaging! I'm not really into tints because I dont know how to apply it properly. Where can I buy this cutie? 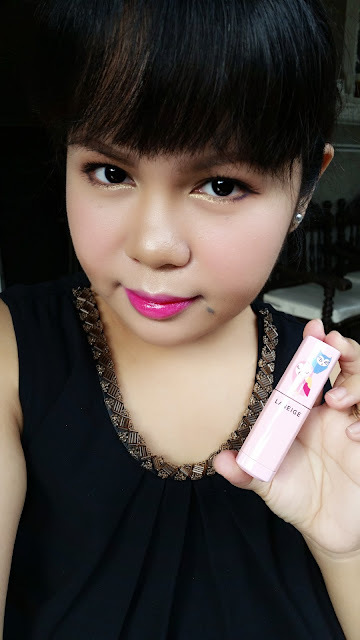 I think the misty rose tint is the best for me. These kind of lipsticks lasts long and I like the creamy moist effect. Oh their packaging is so cute and dainty :) Love the shade of "cheeky cherry"
I like their fruity scent/taste! Bite Me looks fab! Love the packaging, too! 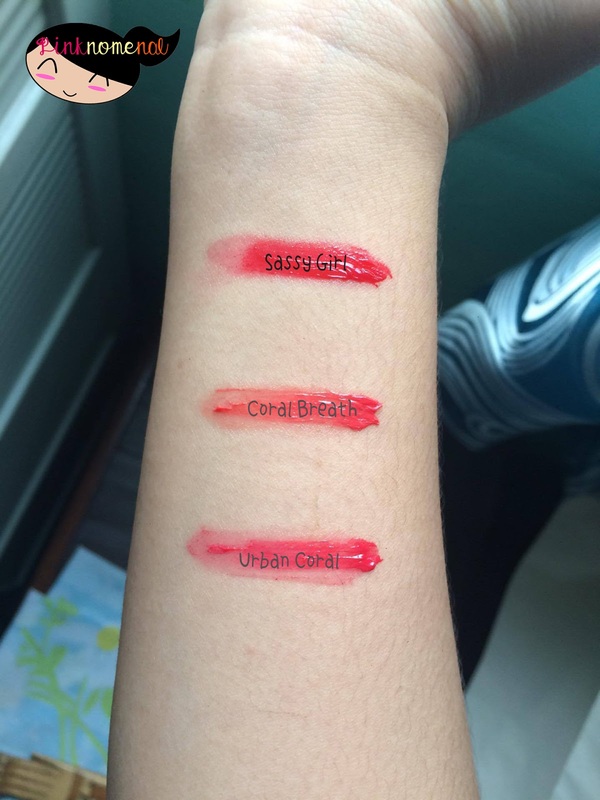 I think id go for coral! I live their packaging and its good thay they got an array of shades available..
Those are cute lippies. I haven't tried Laneige yet so I just might go and buy one of those. 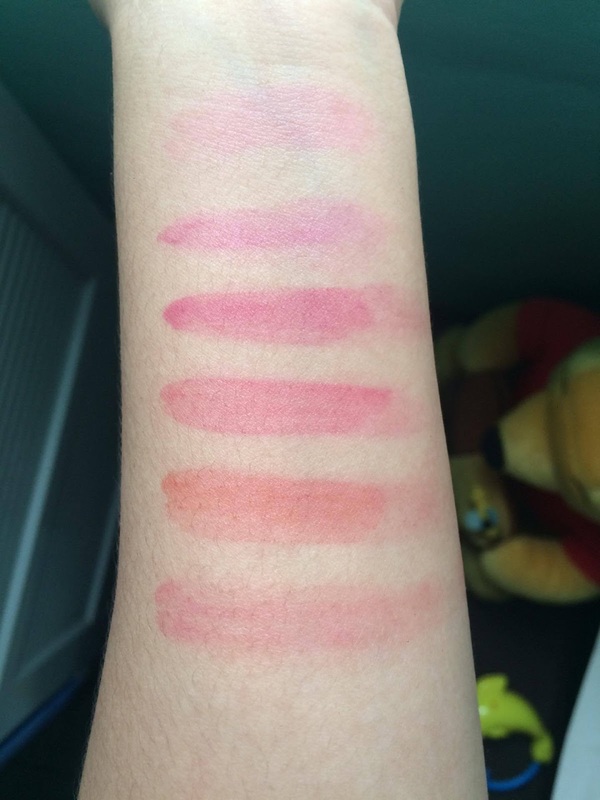 I wish I can have all of those so I can try different shades depending on my mood haha! :) They're all so pretty! The packaging is super cute! I find the colors a bit too bright for my taste but that Misty Rose looks really nice. I love brownish pink shades. 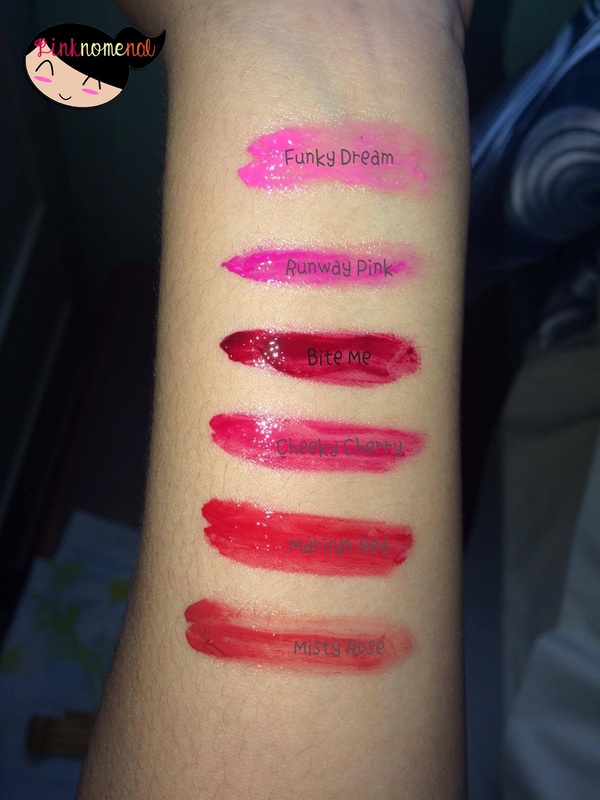 I am usually partial to red lipstick but I am loving all you lippie shades! Runway Pink looks good on you! 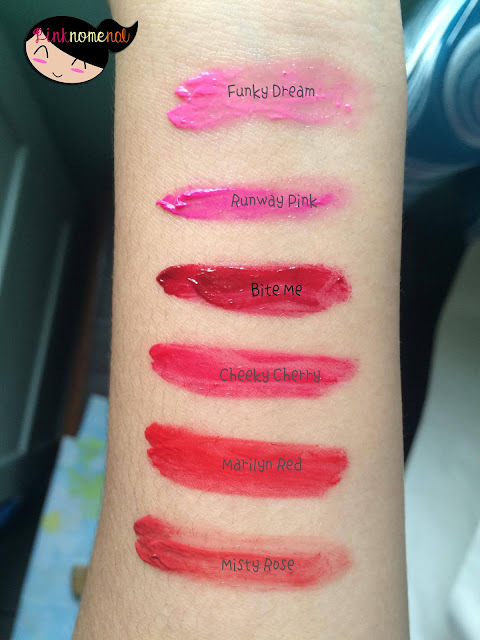 I would love to try the Misty Rose shade. I'm not a fan of lip tints since it looks patchy on my lips after long hours of wearing. On the contrary, I may consider these because of the cute packaging hehehe. Misty rose is my favorite among those. Very subtle. Those are all lovely hues, I particularly love Misty Rose. It looks like something that would compliment my skin tone. I love its finish, too, and the fact, that some color stay even after you wipe it down. This is a must have, especially for those who do not apply lipstick too often. I'm not seeing these in Cebu. Can these be ordered online?